Automated Screenshots - Verify the layout of the site across all browsers, operating systems, and devices. 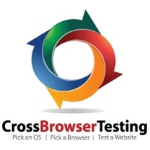 Selenium Testing - Allows to write scripts in Python, Java or C# to automate and integrate testing into the workflow. Comparisons - Provides visual feeback of the actual layout differences in your site between browsers.